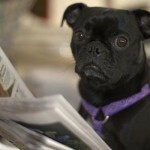 Recent Dog News from Around the World | Woof Report | The best email newsletter for dog lovers. 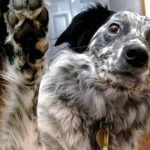 Recent dog news from around explores whether or not human yawns are contagious to dogs, reveals that a child’s activity level is increased when a dog is in the home and more. 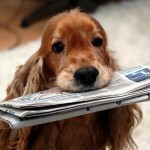 See what’s new in the world of dog. The dog research and surveys keep on coming, and we’re keeping tabs on them. In case you missed the latest news – below is a recap. From whether or not dogs catch human yawns to just how much dogs impact our safe driving, and more — it’s all here! 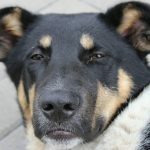 The recent study conducted by the School of Psychology, Birkbeck, University of London is the first to demonstrate that human yawns are possibly contagious to domestic dogs. 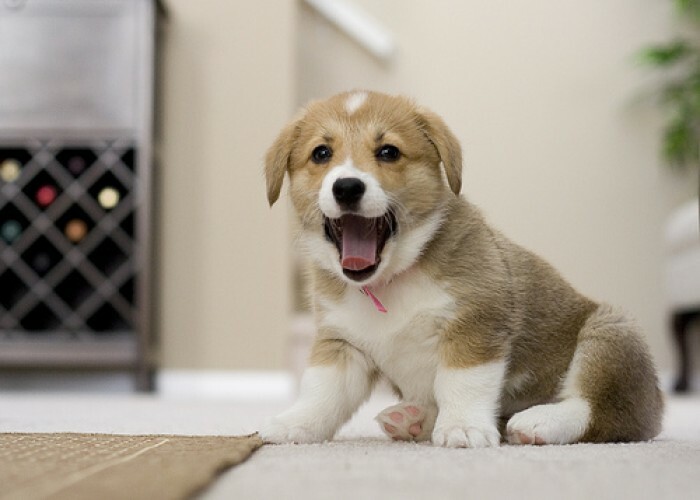 Of the 29 dogs in the study, 21 yawned when observing a human yawn; however, no dogs yawned when observing a human making mouth movements to imitate a yawn. According to researchers, the presence of contagious yawning “indicates that dogs possess the capacity for a rudimentary form of empathy. 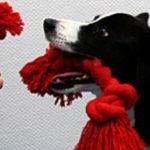 Since yawning is known to modulate the levels of arousal, yawn contagion may help coordinate dog-human interaction and communication.” They state that understanding the mechanism and function of contagious yawning requires further investigation. We say, we’re going to test this with our dog at home! A recent survey conducted by AAA and Kurgo pet travel products asked dog owners how often they drive with their dog and about their behaviors behind the wheel. The not-so-surprising news, drivers often forgo safety when they bring their pups along for the ride. While 31% of the 1000 dog owners surveyed admitted to being distracted by their dog when driving, researchers found that 59% of drivers had taken part in at least one distracting behavior. The most common behavior reported was petting, with 55% of respondents – and this Woof Reporter, admitting to doing so. Drivers also allow their dog to sit on their lap (21%), give food and water to their dog (7%) and play with their dog (5%) while driving. And you thought texting was bad! These and any behaviors that cause you to look away from the road, even for a few seconds, can be dangerous to you and your pup and other passengers. Keep it in mind the next time you drive with your co-pilot! 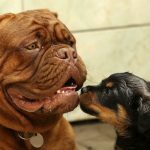 Find other fascinating dog news – plus other fun dog facts, in our More Bones to Chew On category in our Tip Archives. Thank you to recompose on flickr for the photo. Originally published January 2011, reviewed and updated July 2017.